Last Friday the FEMA Think Tank (a forum to engage FEMA’s partners, promote innovation, and facilitate discussions in the field of emergency management) held its monthly conference call discussion from our City Hall. 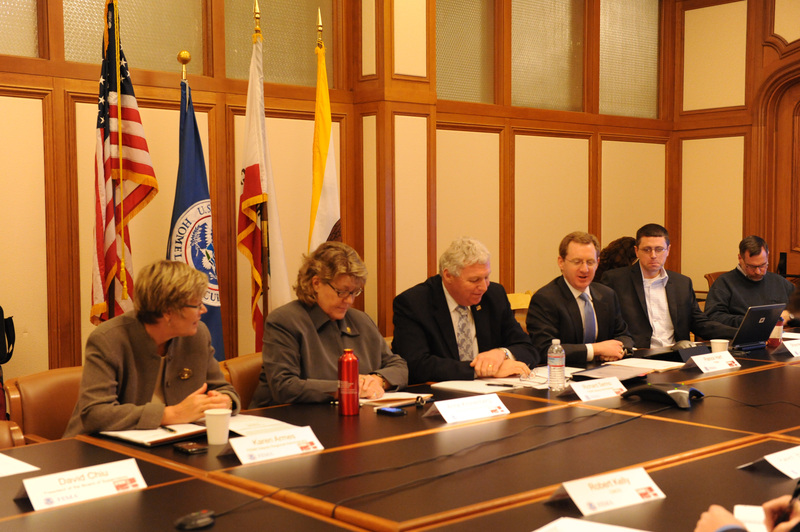 FEMA Deputy Administrator Richard Serino, center, and to his left, DEM Executive Director Anne Kronenberg, were joined by representatives from the public sector, private sector, non-profits and faith based organizations during the FEMA Think Tank conference call. 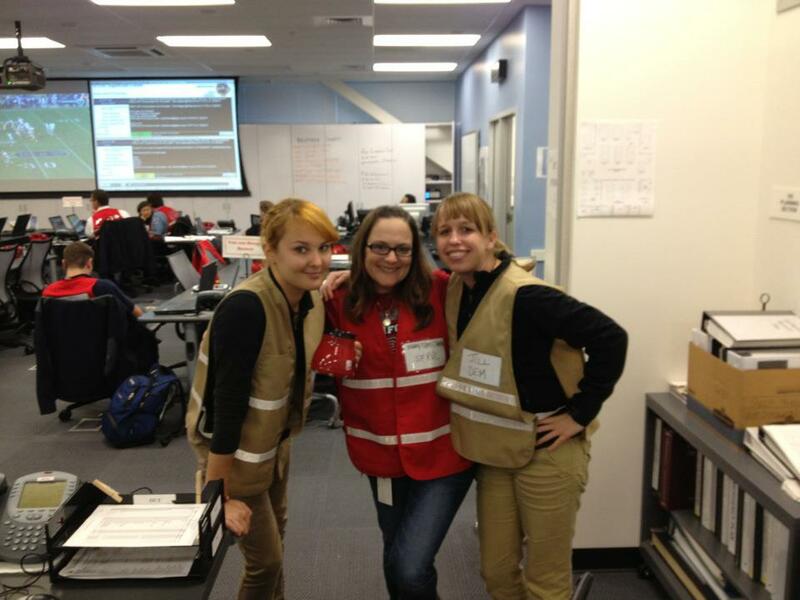 Conducted by FEMA Deputy Administrator Richard Serino, the topics of discussion focused on how to improve communications during an emergency with specific emphasis on amateur radio operations and mobile apps. Many participated in the call via Twitter. We encourage you to search the Twitter hashtag #femathinktank for a recap of the call’s key discussion points. 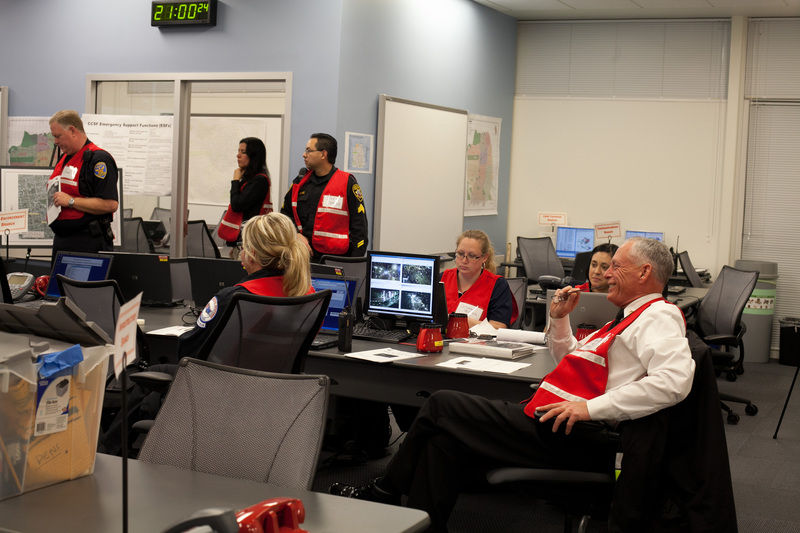 Meanwhile, Deputy Administrator Serino shared his thoughts about the Whole Community approach to emergency management and to how San Francisco is on the forefront of recovery planning and bringing the whole community together to promote a resilient San Francisco. 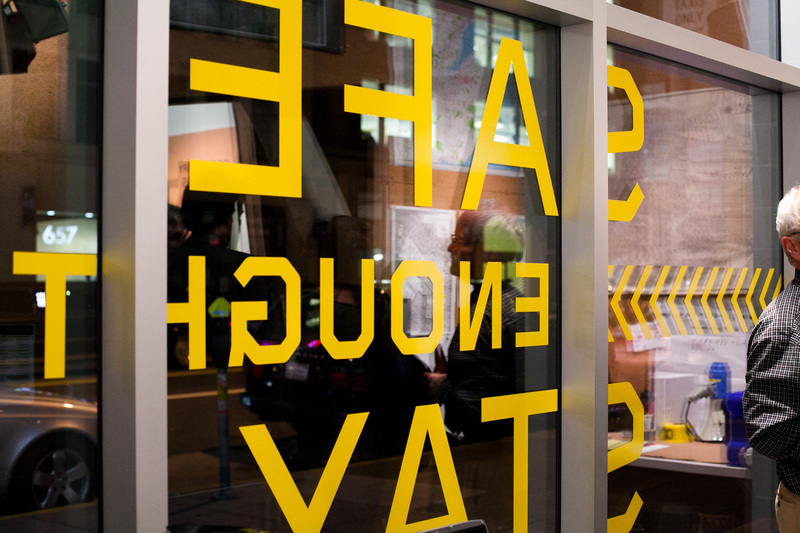 Last week the San Francisco Planning and Urban Research Association (SPUR) opened Safe Enough to Stay, an exhibit for the public that teaches us what steps we should take to make San Francisco a Resilient City. 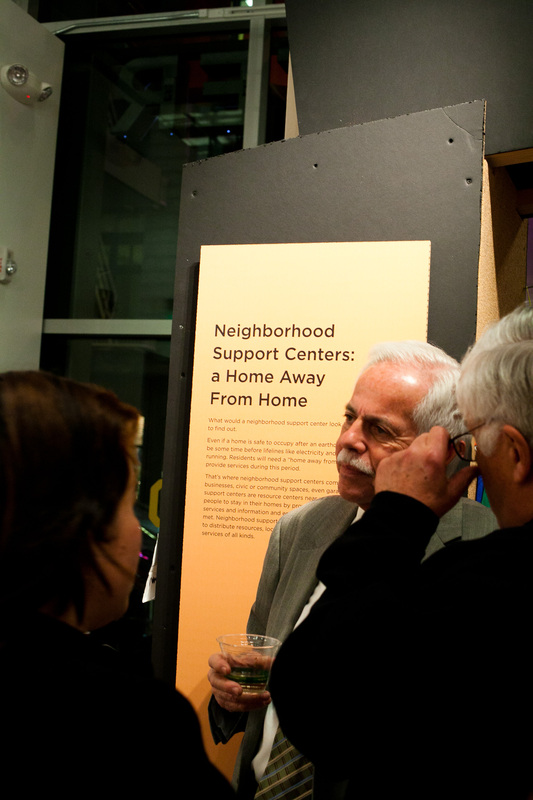 Within the exhibit is a recreation of a San Francisco apartment, which allows visitors to experience what living in a retrofitted home after a major earthquake might be like, along with recommendations to make our homes safe enough to stay. 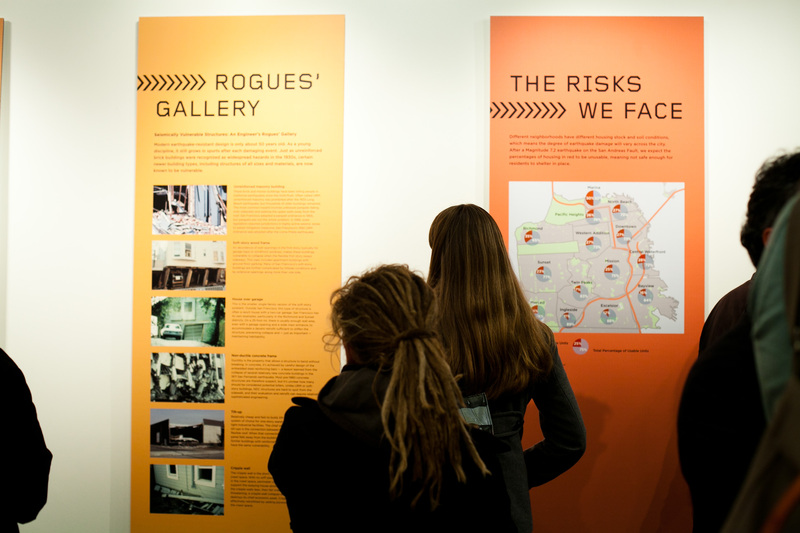 The exhibit is in support of the SPUR report, Safe Enough to Stay. 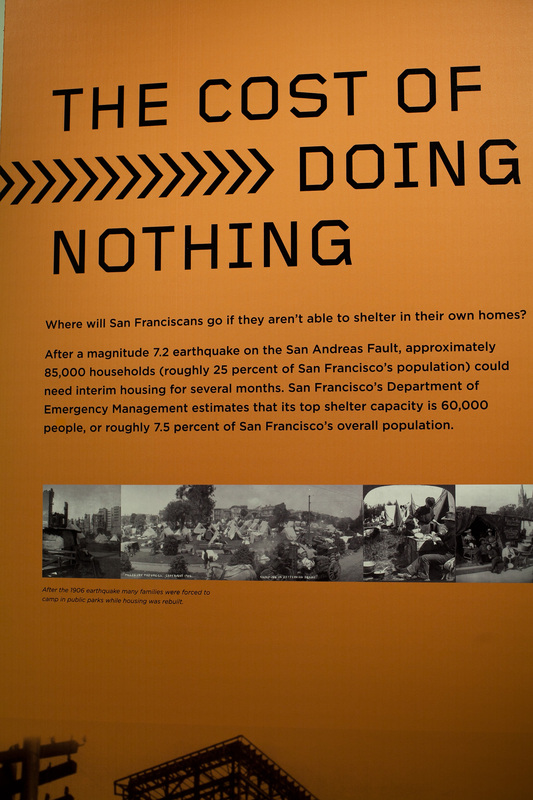 Several of us at DEM went to the opening and had a similar experience: seeing a San Francisco-esque apartment replica with damages an earthquake would likely cause really drove home (forgive the pun) the core message of the exhibit—staying at home after an earthquake really is doable. Thank you SPUR for creating resonating experience that educates us on how to stay in our homes after an earthquake. The exhibit is free to the public and will run through April 18, 2012.